Our village sits on a gentle hill stretching up from the river. The newest houses (there are few of them, and these are the only ones which aren’t thatched) sit on higher ground, next to the forest. The hills are part of the Boucles de la Seine national park and are densely forested. There are walking paths leading up from the village into the forest. We put the children in tall, strong Hunters before we explore the hills. There are many nettles, as well as wild mushrooms which the locals collect. There are views of the village and across the Seine. We last walked up the hill in October. 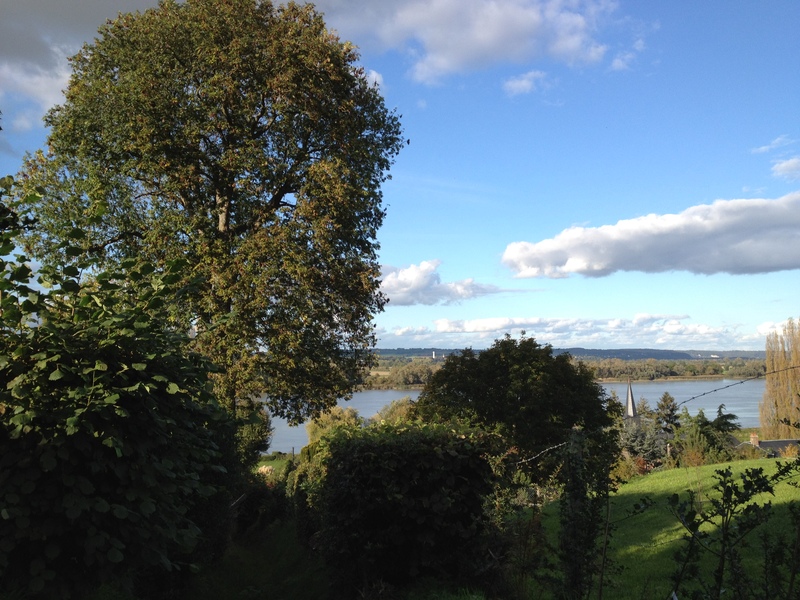 It was a bright, crisp day – the best of autumn in Normandy. The path was covered in chestnuts which had dropped from the trees. 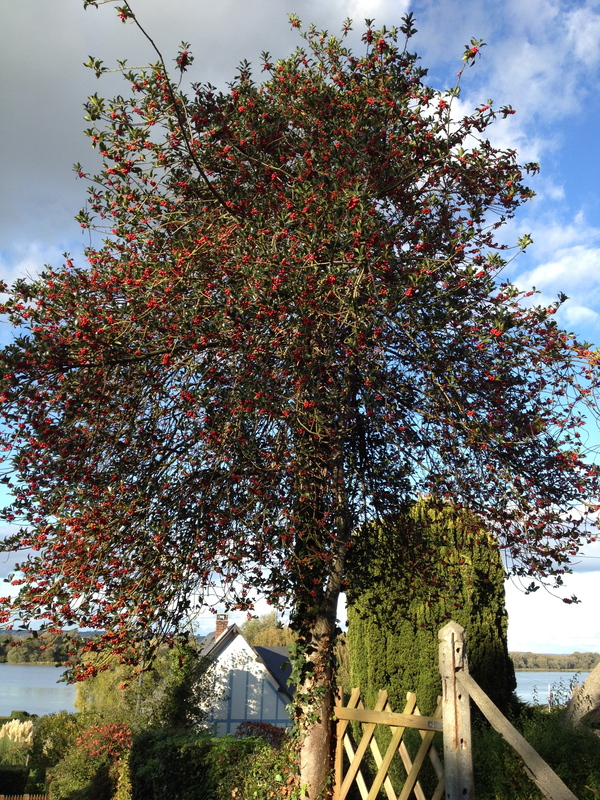 This tree was resplendent with bright red berries. Not so long ago, the village was agricultural. As recently as the early 1980s, cows were kept at our cottage. Our “garage” is a cinder block cowshed, complete with stalls and mangers. The owners took the cows along the road to graze in fields. Today, the villagers are teachers and small business owners, or weekending Parisians. 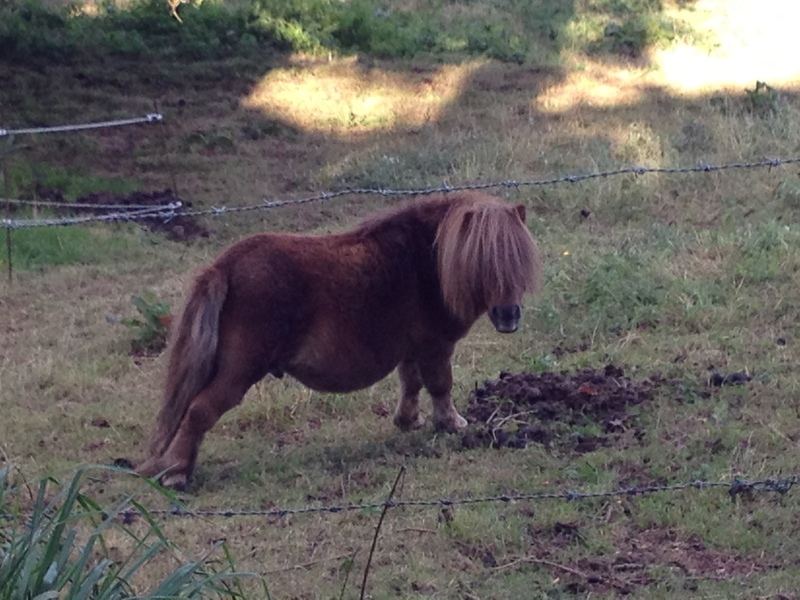 There are few homes with animals – a few chickens, and here, along one of the paths going up into the hills, these tiny shaggy ponies who peered at us from under their long hair.